This Lentils + Roasted Acorn Squash + Poached Egg recipe from A Thought for Food combines roasted squash, boiled lentils, and a poached egg for a bowlful of texture and flavor. (Not into eggs? 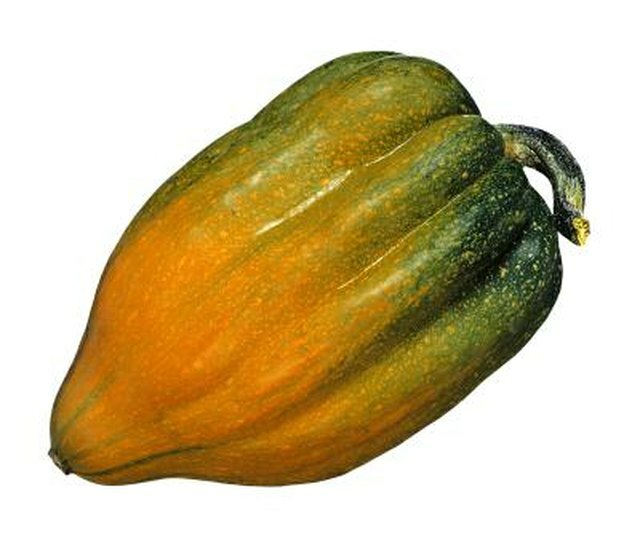 Try these... Cook the acorn squash soup for 5 minutes, then lower the heat and let it simmer for another 10. How good does this soup smell?! How good does this soup smell?! After the 10 minutes, remove the soup from heat and add a dash of salt and pepper and serve. Once it is boiling, add the squash and let it boil for six to eight minutes or until it is soft. Pour the contents of the pot into a colander or strainer to separate the squash from the water. Place the squash in a food mill, food grinder, blender or food processor. Place squash on steamer rack in a saucepan and cook over boiling water. Cooking time may vary from 15 minutes to an hour, depending on the freshness and type of squash and the size pieces being steamed. Cook the acorn squash soup for 5 minutes, then lower the heat and let it simmer for another 10. How good does this soup smell?! How good does this soup smell?! After the 10 minutes, remove the soup from heat and add a dash of salt and pepper and serve.